Mystery is proud to announce a number of exciting developments in our long and successful partnership with the Giraffe brand. 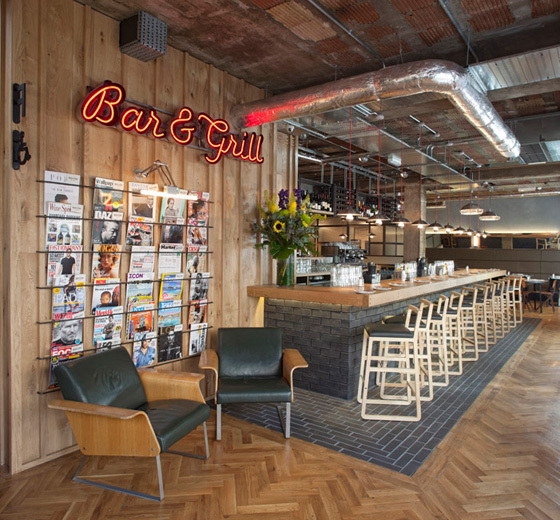 The opening of a new one-off Giraffe 'Bar & Grill' concept in iconic Soho demonstrates the flexibility of the brand to work across a wide variety of locations and markets. 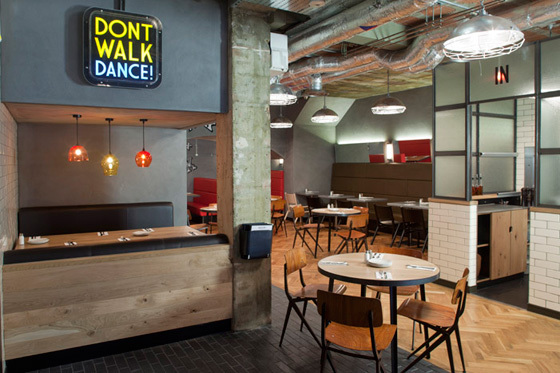 Soho has traditionally been the epicentre of London's café culture, and after a period of decline in the 80s and 90s Soho is now enjoying a renaissance as the centre for foodies in London's West End. Giraffe's brief to Mystery? Bring the vitality and 'bo-ho' art culture of Greenwich Village back to Soho and help position this unique flagship to attract the cool, local urbanites. Alongside a new identity design and external signage, we created a new set of mixed-media interior 'graphic installations' including fly-posters, signage, oversized woodblock lettering and hand-painted murals on retro wallpaper. Working closely with founder Russel Joffe and Wells Makereth architects, the overall effect is a startling and exciting evolution of the Giraffe brand. 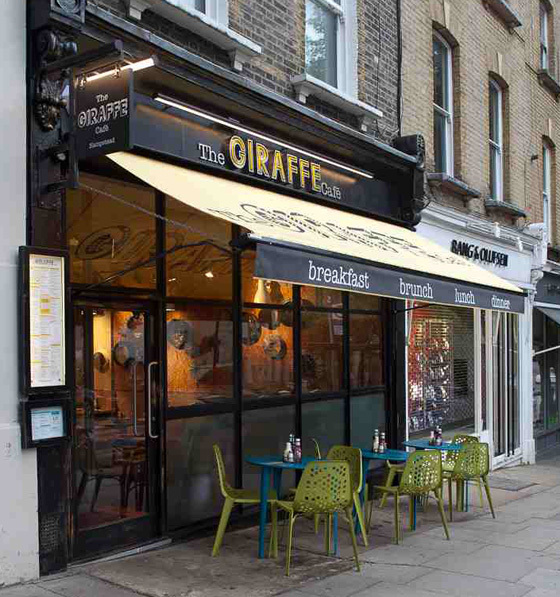 Mystery are also excited to unveil 'The Giraffe Café', another new extension to the brand appropriately launched at the original site of the first Giraffe in Hampstead. The Giraffe Café reflects the original spirit of travel and independence that first inspired Russel and Juliette Joffe to set up Giraffe back in '98, and we've aimed to capture that essence through the new informal identity design, menu format and interior graphics. 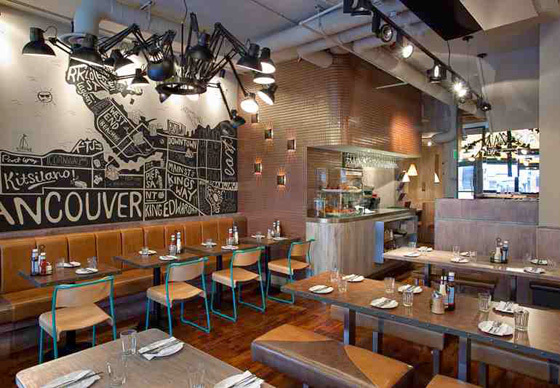 Designed as a local place for local people, - working with Nelson Interiors - the effect is compelling, nostalgic and warm. 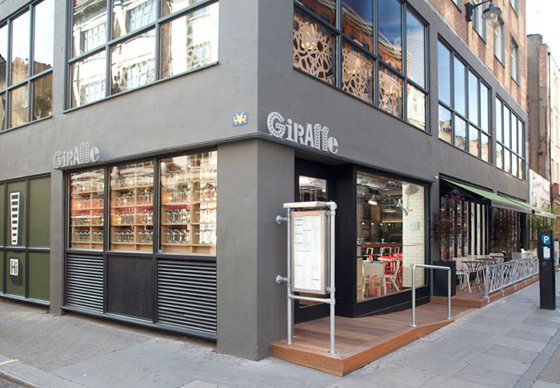 The first site has opened this week in Hampstead whilst Wimbledon's local Giraffe Café is due to be reborn very soon. 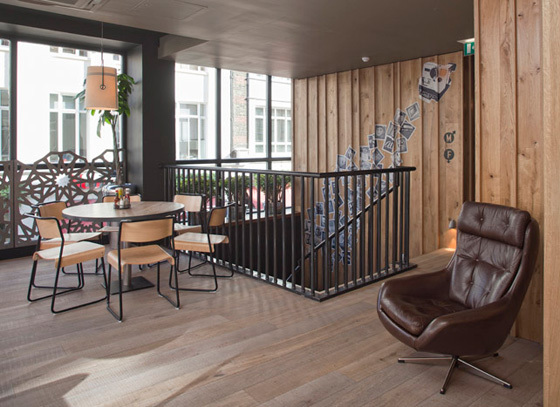 To find out more about how we can help create compelling brands and branded interiors, don't hesitate to get in touch: dan@mystery.co.uk or 020 7456 7833.